Digital prints, on un-primed canvasses, of enlarged copies of the front pages of The Straits Times (ST) newspaper; a short story that can only be told orally and must be learnt by heart by the audience before they can move on; and a library of Chinese legal books. These are some of the latest works by conceptual artist Heman Chong that he likes to describe as “located at the intersection between image, performance, situations and writing”. 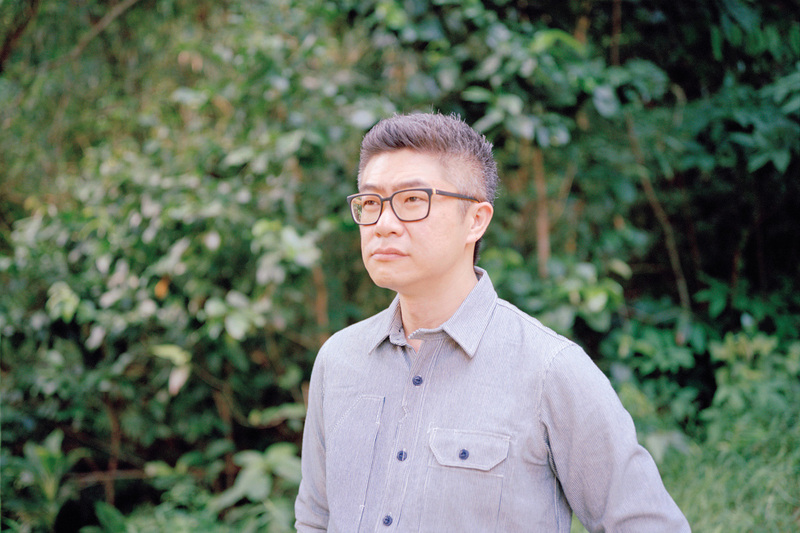 An artist, curator and writer, Heman Chong has long been interested in languages, with most of his practice centred on “thinking about fiction and the spaces that overlap with reality”. “A lot of my work mediates the space where fact and fiction co-exist, and is continuously morphing into and around each other. There’s no such thing as an absolute truth or a complete lie. Things usually exist within the greys of speech, communication and nuance,” Chong says. Abstracts from The Straits Times, his latest series, which was presented at Rossi & Rossi during Art Basel Hong Kong, appropriated front pages from the Singaporean newspaper between 2010 and 2017, enlarging them and superimposing numerous layers to render the printed words illegible. Chong has an installation at the Swiss Institute Contemporary Art in New York (until August 19, 2018), which presents a bookshop with titles relating to the legal system in China that were selected by a lawyer. “I envision the bookshop as an open-ended platform where it’s a space to browse, read, and talk about different issues,” he says.